Listen to your favourite songs in music player. It supports MP3, eAAC+, WAV, Flac etc. file types. 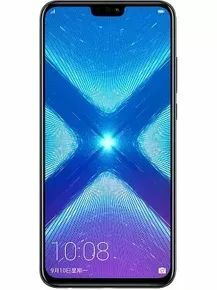 The Honor 8X is quite manageable in spite of the large 6.5-inch display. The in-hand feel of the phone isn’t vastly different from other glass body Honor or Huawei phones we have used this year. As a distinguishing element, the back has dual texture. You can’t feel this texture as it’s underneath the glass. It’s more noticeable when you use the phone without a case, which is not very convenient since the glass back is prone to smudges. The Honor 8X runs Android 8.1 Oreo-based EMUI 8.2 software out of the box. The custom skin is feature rich to an extent where it gets a bit overwhelming. It’s still quite stable and efficient, though.The Honor 8X has a dedicated card slot that can accept up to 400GB of microSD storage. When it will be launched in india? ?